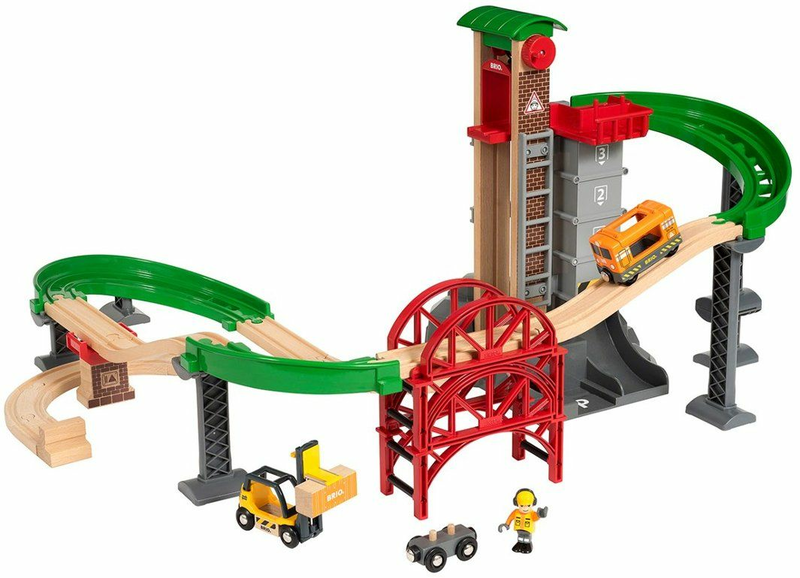 BRIO Railway Lift & Load Warehouse Set. Building vertical shapes has a natural thrill to it. 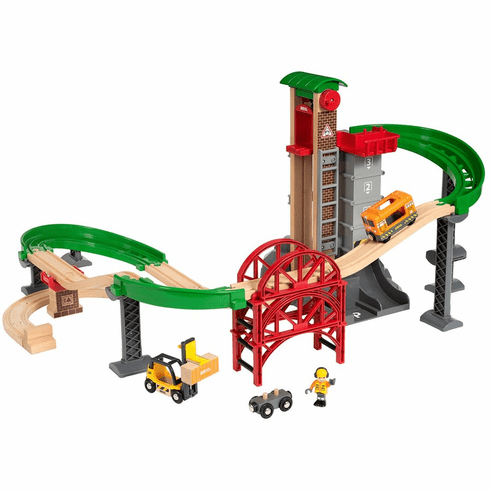 The 33887 Lift & Load Warehouse Set makes just that possible, even irresistible. Build the stackable bridges, curves and sloping tracks right to the top of the warehouse. Let the lift carry the wagon all the way up, unload and watch it roll down. The set offers many layout options. You decide what to build � but build it high. 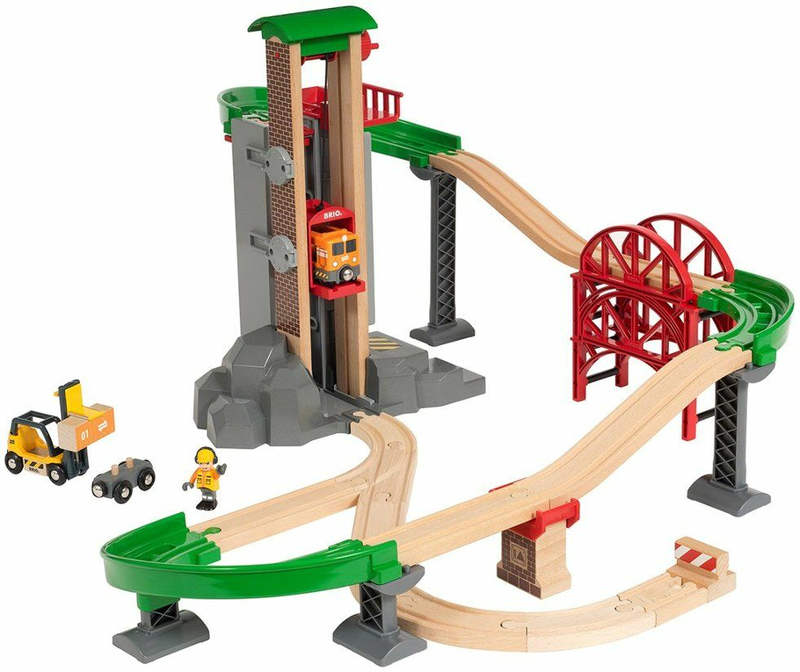 Part of the BRIO WOODEN Railway system.